Thomas Hatch is a Professor at Teachers College, Columbia University and Co-Director of the National Center for Restructuring Education, Schools, and Teaching (NCREST). In December, he posted two articles with his reflections on Luminos’ unique approach to accelerated learning. These posts have been reproduced here with permission from International Education News. Second Chance’s efforts to carry out such an unconventional pedagogical approach in what are usually remote areas depends on building an alternative infrastructure for learning that incorporates local materials, training for local youth, partnerships with government schools, and support for parent self-help groups. Rather than creating this infrastructure itself – and growing a larger organization to do it – the Luminos Fund’s efforts to expand Second Chance build on the expertise, resources, and relationships that local implementing partners have already established. Those partners include NGO’s that have a record of accomplishment and a presence in the communities where Second Chance seeks to work. Luminos provides training, materials, guidance and oversight for the partners, but the partners hire and train facilitators, supervisors and project coordinators. Second Chance’s expansion to Liberia uses this local approach to test the viability of program in what Baron described as an “under-resourced” context. Khosla was more emphatic: “It’s exactly the same program, but, oh my god, the challenges are so different.” Those challenges include an out of school rate in Liberia of over 50% for children of primary school age (compared to about 35% in Ethiopia); extreme poverty and a lack of basic necessities; an economy growing at about half the rate of Ethiopia’s; and public spending on education also at about half the rate of Ethiopia’s. All of these factors contribute to much higher costs. With so little money for education, textbooks are scarce – roughly 1 textbook for every 28 students, according to Khosla. That means textbooks have to be imported and delivered to the schools, and the inadequate roads lead to high transportation costs that compound the problem. 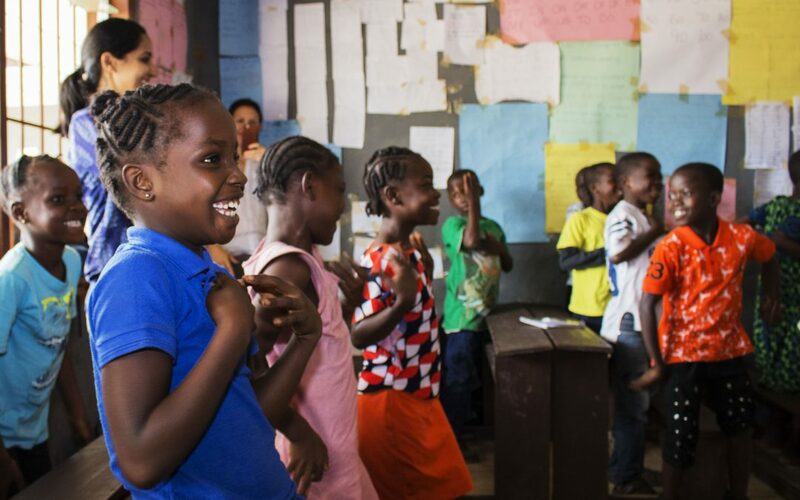 As a result, initial costs to set up a Second Chance classroom in Liberia run about $10,000 per classroom, where it only cost about about $6000 in Ethiopia. Although Luminos’ aims for a 300$ per pupil cost once the program reaches scale, the per student costs in Ethiopia work out to only about $150. Early on in the work in Liberia, the staff also discovered that the impoverished conditions meant that many of the students were going through an entire day without food. As Khosla explained, “In Ethiopia they have a 1 ½ hour lunch break where they go home everyday to eat lunch and then go back. We thought the same model would work in Liberia, but there’s no food. “Kids were coming to school so hungry,” Baron added, “it was a fool’s errand not to address that need, but that means we are delivering rice and beans to mothers who are cooking food.” Baron pointed out that this “small” change in the schedule in Liberia introduces a whole new series of problems to be addressed – where to get the food, how to import it, how to prepare it – that requires establishing a whole new supply chain, with new job responsibilities and added costs. “And there are hundreds of weak points in the chain,” lamented Baron. For example, there are periods for traditional religious practices where it is unsafe for children to be out collecting the wood needed to fuel the fires for cooking. With no firewood, students can end up going several days without food, unless the staff at Second Chance make the local adjustments that enable he work inside the classroom to take place. The difficult conditions and hardships in Liberia affect the Second Chance facilitators as well. For example, although initial assessment results in Liberia indicated that students’ literacy learning was far behind the students in Ethiopia, further analysis showed that the facilitators also had much lower scores on related literacy assessments than their peers in Ethiopia. Similarly, Khosla pointed out that the content of the training for the facilitators is quite basic “because the focus is on the early grades. But we are finding in Liberia that it’s not basic. There are still some issues that facilitators have with teaching parts of speech for example, so we are figuring out how we can fill some of those gaps in content knowledge.” These results are not surprising, however, given that the local youth the program relies on for facilitation have had to live through a series of wars and an Ebola crisis that interrupted their own schooling and development. The transportation problems also complicate the training efforts; discouraging facilitators from getting together to share information, reflect on what they are doing, and address common challenges. Khosla explained, “If you have to deviate from the main road, then you are in the bush, and then you are in the bush for at least 10 miles to reach one school. So for us to tell the facilitators to meet up often is logistically impossible.” The Second Chance leaders solved this problem and the problem of distributing salaries to a widely dispersed staff of facilitators (who need to be paid once a month, in person, in cash, since they don’t have bank accounts) with one adjustment: they pay the facilitators at the end of the day, after they have attended their monthly learning community meetings. “It’s a good way to ensure they come to the meetings,” Khosla noted. The initial work in Liberia revealed challenges for Luminos’ strategy of relying on local partners as well. In Ethiopia, Luminos’ has a team of five working with fourteen implementing partners managing a program of 20,000 children. 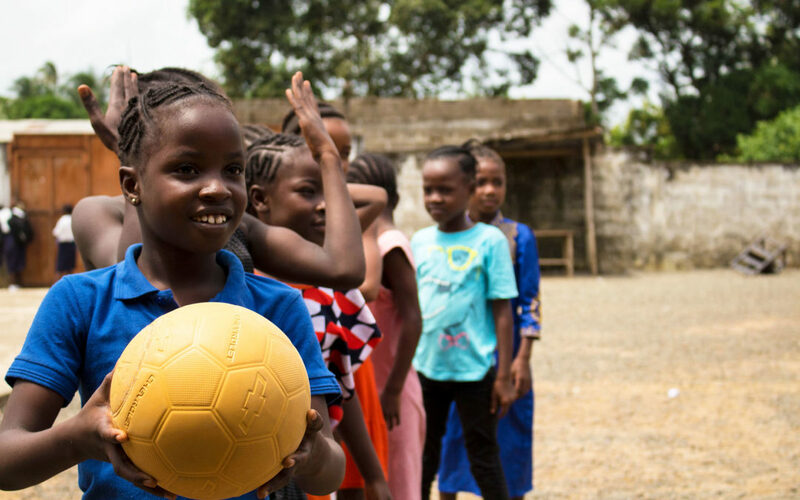 In Liberia, the relatively small number of established NGO’s who have the capacity to serve as partners means more intense engagement for Luminos: a staff of three works with four implementing partners for a program (so far) of only 2000 children. The early stage of the work in Liberia also means that, as Khosla put it, neither the local partners nor the facilitators they have hired “know what a Second Chance classroom looks like, and what to aspire to.” Consequently, in the 2018-19 academic year, Luminos created 4 Second Chance programs to serve as “centres of excellence” with model classrooms so that facilitators, partners, and even government officials can come and see the program in operation. Given the need for all these adjustments, the initial rate of expansion in Liberia may well be slower than it has been in Ethiopia. Despite these challenges, Luminos chose to work in Liberia because of the possibilities and assets that it found there. With Liberia’s small size, Baron, Khosla and their colleagues have good relationships with a government working to re-imagine education and other sectors of the society. That may create opportunities to influence government policies, for example, enabling facilitators to get a license to teach in government primary schools after they go through the Second Chance training. “That would put facilitators in a really good spot to get placed in a government school,” Khosla said. It would also create a powerful incentive for local youth to get Second Chance training and provide an entry point into government classrooms for Second Chance’s pedagogical approach. These kinds of possibilities, along with the fact that English is the official language, means that, if Second Chance is successful in Liberia, it may have more of a chance of being picked up by the government and scaled throughout the country than in Ethiopia. The latest opportunities for expansion have taken Luminos to Lebanon, where the crisis in Syria has produced the largest recent wave of refugees and out-of-school children. In Lebanon, the conditions for refugees are extremely difficult, but the Lebanese government has its own well-established programs for accelerated learning. However, English and French are the languages of instruction in the government schools and accelerated learning programs, but most of the refugees speak Arabic. To respond to this situation, Luminos has shifted its focus to use its active learning pedagogy to help refugees make the transition into the Lebanese accelerated learning programs and then into the government schools. .
For one thing, Luminos has to pay attention to the larger context in which their work on education in the developing world takes place. That means recognizing the fact that priorities have shifted from a focus on increasing access by 2015 (in the Millenium Development Goals) to ensuring quality in education by 2030 (in the Sustainable Development Goals). As a consequence, Luminos needs to talk about the program differently so that those funders who are now working on quality can see the value of the Second Chance approach. Luminos also has to be responsive to the local contexts in which they work. As Khosla acknowledged “Second Chance cannot just be plopped down in any regulatory environment.” Second Chance needs to find the right “fit” in contexts that provide the model with what the psychologist Lev Vygotsky called a “zone of proximal development”: places with both substantial need for accelerated learning and enough support and resources to take advantage of Second Chance’s alternative infrastructure for learning. What capacities do children need to succeed in the “regular” school system? What enables and motivates “over-age” students to stay in school? Who has the will and the skill to support and sustain the success of the classroom approach? What connections will ease and sustain the transition into the larger school system? What mechanisms will enable parents and community members to embrace and support their children’s schooling? What local capacities and local organizations can provide a foundation and a “home” for expanding the program? Despite significant increases in educational access around the world, one out of eleven children of primary school age remain out of school. For adolescents, that proportion reaches one in six. Illustrating the depth of the problem, in Sub-Saharan Africa, the 21% out-of-school rate for primary school age children balloons to 58% for upper secondary school age children (the highest rate in any part the world). With global efforts to increase access stalling, UNESCO and the Global Monitoring Report conclude: “Targeted interventions are needed to reach the most marginalised children, such as the millions obliged to work, the girls forced to stay home and the families displaced by conflict… We can no longer only rely on ‘business as usual’ strategies based on more teachers, more classrooms and more textbooks”. Accelerated learning programs, like Second Chance (formerly called Speed School), serve as one such targeted intervention. Second Chance aims to meet the needs of children from 8-14 years of age who have never been in primary school or who have dropped out of school for two years or more. The program covers the content of first, second and third grade in just 10 months and helps the students to catch up to their peers and transition into the public school system in third or fourth grade. Second Chance works by identifying a region with a high number of primary school-age students who are not in school and then establishing Second Chance classroom of no more than 25 students and a teacher (or “facilitator”) in that region. Although this constitutes a relatively small “unit of implementation,” the results have added up. Launched in West Africa by the Legatum Foundation, the Strømme Foundation, and Geneva Global in 2007, what was then called Speed School reached over 100,000 out of school children in West Africa and Ethiopia by 2015. Building on that initial success, Legatum created the Luminos Fund to expand the program in Ethiopia and to other parts of Africa. According to a 2018 study tracking Second Chance graduates in Ethiopia from 2011-2017, about 75% of the Second Chance graduates were still in school compared to 66% of a similar group of students who had attended government schools. Furthermore, the Second Chance graduates had higher aspirations to progress beyond primary education and were over 30% less likely to dropout than comparable students in government schools. With those results, in 2018 HundrED identified Second Chance as one of 100 inspiring global educational innovations and in 2017 the World Innovation Summit for Education (WISE)recognized Second Chance as one of six awardees for their creative approaches to crucial education challenges. These key elements can be considered “micro-innovations” because they are practices and structures that are new to the contexts in which Second Chance works – but their success depends on the ways in which Second Chance adapts and responds to the specific needs and circumstances in those contexts. That pedagogical approach was one of the key developments that facilitated Second Chance’s expansion. 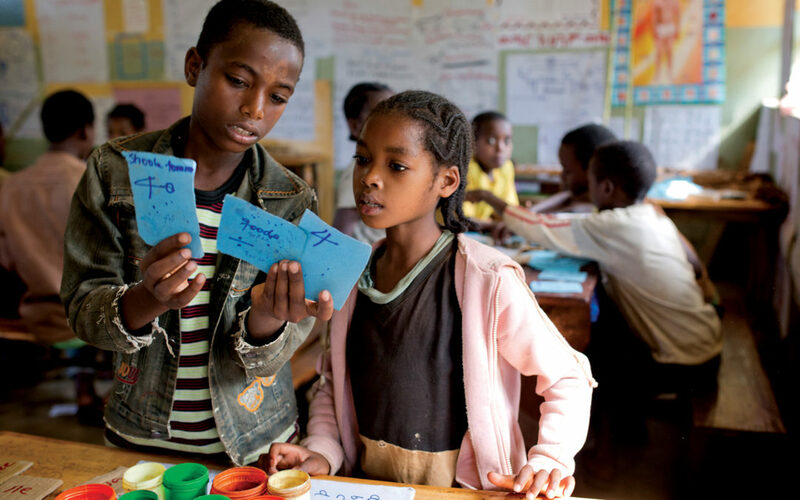 Developed by Jeyachandran Madurendrum after he became the country director for Geneva Global in Ethiopia in 2010, Second Chance’s approach marries a focus on key skills in literacy and numeracy with an emphasis on active learning. As the Facilitator’s Guide explains it, students work independently and in groups on learning activities that involve handling and using objects and materials from the local environment, sorting, grouping, and experimenting with them, making observations, recording findings, drawing conclusions, making generalizations, discussing what they’ve observed and learned with peers and facilitators. This active approach stands in striking contrast to conventional classrooms in surrounding areas, which are often overcrowded, with students in rows and the teacher in front delivering a lesson. As Nikita Khosla, Senior Director at Luminos observes, “If you walk into a Second Chance classroom in Ethiopia or Liberia, you will see about 25 children sitting in groups of 5. There will be work on the walls. It might be mud walls, but you will see chart paper stuck to them. You’ll see alphabets made out of clay. You’ll see children using lot of local materials for math, or going outside for nature-based learning.” In the process, Second Chance seeks to create a place where children want to come to school. Fostering that kind of environment is particularly important given the challenges many of their students face in getting to school and in keeping them motivated throughout an eight-hour school day (with almost twice as much instructional time as government schools). Khosla makes clear that Second Chance’s emphasis on developing relationships with children is another crucial ingredient to the approach. “When we have principals and teachers [in government schools] asking us why the children in Second Chance are happy, we tell them, we don’t hit children, we talk to them, we ask them how they are, and this is very different from the teacher led classrooms in conventional schools, so even a slight deviation of that is welcomed by the students.” Both the active-learning pedagogy and the relationships with students aim to prepare Second Chance’s students to be independent learners and to help sustain them throughout their school careers. This approach responds specifically to the opportunities and challenges in the local environment in two key ways. First, the program treats the facts that the students are older and out of school as assets. As the Facilitator’s Guide outlines, they see these students as able to learn at a faster pace and over a shorter time span than younger children and as more motivated and enthusiastic about learning. Second, rather than developing and delivering a stand-alone curriculum, Second Chance facilitators use the active learning approach to teach the content of the national curriculum where they work. This approach also allows the facilitators to use the textbooks and other materials created to support the national curriculum – content with which local most facilitators and local partners are already familiar. This choice also eases the transition of Second Chance students into government schools that are using the same materials, and it reduces the costs of having to produce their own materials substantially. In another move that takes advantage of local circumstances, Second Chance looks for facilitators who are unemployed youth who know the local language and have at least a 10th grade education. Khosla reports that although this group has “zero experience teaching,” they bring other assets: “they have a real hunger for learning,” Khosla notes, “And we’ve seen they are very open, and they really absorb everything like a sponge.” On the downside, these facilitators are familiar with the content, but the active learning pedagogy is entirely new. To help them take in such a novel approach, 21 days of training are spread across the 10 months of the program. That training focuses on the activity-based pedagogy and equips facilitators to develop their own lessons that are linked to the national curriculum, draw on the Second Chance activities, and utilize local materials. In addition to the training, Second Chance tries to cultivate a “professional learning community” by bringing together facilitators periodically to share their learning and discuss their challenges. From Khosla’s perspective, two aspects of this approach help to motivate facilitators. First, they can get a job at only slightly below the salary of government teachers and at a good rate given their qualifications. Second, they have an opportunity to develop positive relationships with the students. “The facilitators talk about how happy and excited the children are, and that motivates them to employ the approach,” explained Khosla. Recognizing the challenges that Second Chance students face in staying in government schools once they graduate, Second Chance now establishes relationships with “Link schools.” Link schools are government schools that Second Chance graduates may go on to attend. Through the partnerships, Second Chance seeks to build some understanding of the Second Chance approach among the Link school staff and to encourage the staff to welcome the Second Chance graduates. “If a school already has a classroom of 70 children in grade 4,” Khosla explains, “and now Second Chance sends 15 more children, the principal and teachers really need to be on board with accepting the children. So this is just a way for us to develop some good will.” To build that good will, Second Chance provides the teachers and the principal in the Link schools one week of training to expose them to the active learning model. In some instances, principals may also allow Second Chance to operate inside a Link School by using an empty classroom. With this arrangement, the students are already in a government school building; they get into the habit of going to the school; and the parents get to know where the government school is as well. Seeing the Second Chance children engaged and happy at school has the added benefit that it can lead principals and teachers to try to learn more about the approach. Second Chance has also grown to recognize the importance of engaging with parents to address some of the cultural and economic barriers that prevent some children from getting access to schooling. 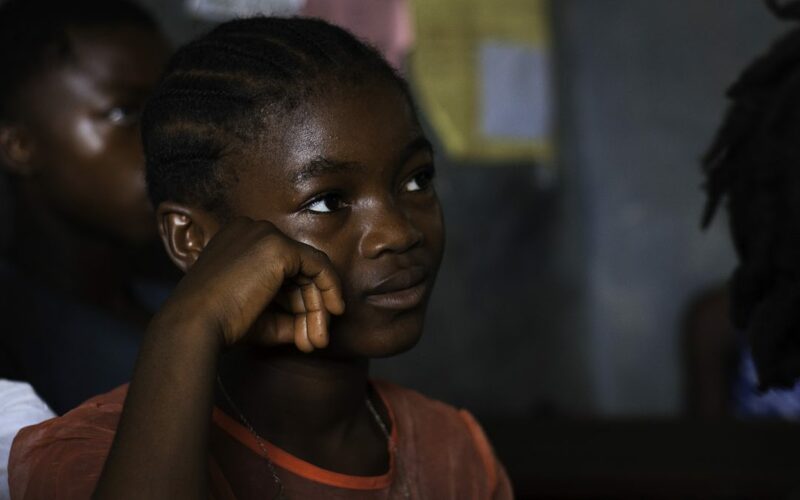 Economic barriers include things like registration fees and, in Liberia, “hidden” costs like the need to buy textbooks and uniforms. Beyond the costs, the prospect of lost labor and a lack of clear benefits from sending their children to school can also undermine parental support. Given these challenges, to complement their work in schools, Second Chance establishes self-help groups for mothers. These groups generally meet once or twice a month to encourage mothers to come up with income-generating activities like raising chickens or selling cassava in the market. As an incentive, Second Chance provides a small “cash-injection”, matching the money that the mother’s raise. Khosla noted that a 2016 evaluation of the program’s expansion in Ethiopia led to the realization that they were not paying enough attention to the self-help groups. In response, they established a new position with a small stipend for a volunteer from the local community who helps to make connections and support the work of the group. The 2018 evaluation tracking the performance of a group of Second Chance students and a comparison group from government schools for six years highlights the importance of addressing these kinds of economic and cultural issues outside of school. That study shows that costs remain the biggest reason former Second Chance students drop out of school; however, the difference between the drop-out rate of the “richest” and “poorest” Second Chance students narrowed much more than it did for government school students. Although it is impossible to make causal links between the self-help groups and Second Chance outcomes, that same study also found that household assets of Second Chance students improved by about 45%, and the average livestock increased by about 53%, while the household assets and livestock average of students from government schools stayed almost the same over the six years. We’re thrilled to be recognized once again by HundrED.org as one of the top 100 global innovations in education. Shortly after we received the news, HundrED featured us in an article on their website. You can view the original article here. Children on Speed School’s programme complete elementary school at twice the rate of their government school peers, a new report by the University of Sussex has discovered! The results show how the approach taken by Luminos, creator of Speed School, is proving more effective in tackling the widespread issue of children dropping out of school and not receiving a quality education in rural Ethiopia. Speed School has been so successful that they are now also in operation in Liberia, where they are called Second Chance. The program in Liberia is the same as in Ethiopia, with a few adaptations to suit the local context – a key ingredient in making sure that an innovation still works when it is scaled to a new location, after all, no two cultures or countries are exactly the same! Luminos credits its success to its holistic pedagogy. Children receive individualized instruction, are continually assessed to make sure they are all are on track and aren’t falling behind, their lessons are activity-based and are on multiple subject areas, and they learn the fundamentals of how to learn, a skill set that sets children up for a life of learning. Children in these programmes also read four times as much as those in government-run schools. The success of Luminos’ programmes aren’t just down to their contemporary pedagogical approach, they take this one step further by engaging whole communities in their work. Along with programmes like Speed Schools and Second Chance that make sure children can re-enter education and receive a better education, Luminos also actively engages parents through self-help groups and community mobilization, and they build the capacity of the community by getting teachers and school leaders up to speed. 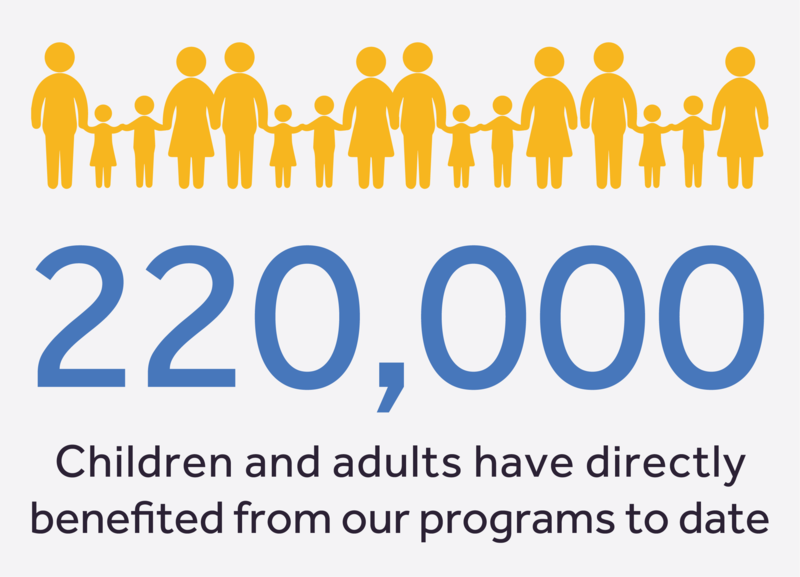 Together, this multi-stakeholder approach helps to make sure no child is left behind. Want to learn more about Speed School and Luminos’ impactful work? Head to their project page for more information. There is nothing like a child’s joy when they discover that all the world’s knowledge is available to them because they can read and write. It unlocks the light within and gives them a sense of freedom and opportunity. It compels them to want to learn all they can about our planet – its places, peoples, possibilities, and even problems. It inspires them to keep on learning – whenever they can and for as long as they can – as they strive to make a meaningful contribution to society throughout their lives. We call this experience “joyful learning”, and we believe it’s something every child deserves. The unfortunate reality is that there are still millions of children worldwide who do not get a chance to learn at all. This is an injustice and an inequality that needs to be addressed. That’s why Luminos exists. We’re here for children like Mary in Liberia and Ahmed in Lebanon, who have faced barriers related to poverty, conflict, and discrimination that have delayed their opportunity to learn. With your incredible support, however, Luminos has been able to step into the gap and provide a second chance to children like Mary and Ahmed. We are thrilled to be able to work with our dedicated network of implementing partners, committed investors, and thoughtful experts, who have helped bring joyful learning opportunities to life for these children in Ethiopia, Liberia, and Lebanon. Over the next three years, with your help, we will not only expand opportunities in these countries, but also bring joyful learning to children in other locations as well. The recognition for our programs over the last year has been deeply humbling. We are honored and delighted to have received the WISE Award from the Qatar Foundation and the HundrED Global Innovations Award. It is a tribute to the hard work our children and their learning facilitators have put into their learning. We are so very proud of them! In the coming years, we want to play a role in improving the information available to education decision-makers, encouraging more collaborative action, facilitating experimentation, and supporting evidence-based systems change as we work together to make joyful learning available to all children. We look forward to your partnership as we progress in this critical journey. Thanks for your continuing support! November 13, 2017 — The Speed School program was recognized by two organizations for the innovative way in which it provides children with a second chance at formal education. Speed School was one of the six winners of the 2017 World Innovation Summit for Education (WISE) Awards, which recognizes creative approaches to crucial education challenges. Speed School was also selected as a Global 100 winner by HundrED, an organization that seeks and shares inspiring innovations in K12 education worldwide. The Speed School accelerated learning model delivers the first three years of a national curriculum in just 10 months to out-of-school children aged 9 to 14. With classrooms limited to 25 students, children learn through child-centered, activity-based pedagogy. The learning and skills fostered through Speed School prepares children to join government schools at the 4th-grade level. The program also works with mothers to address the root causes that prevent children from completing their schooling, such as poverty. 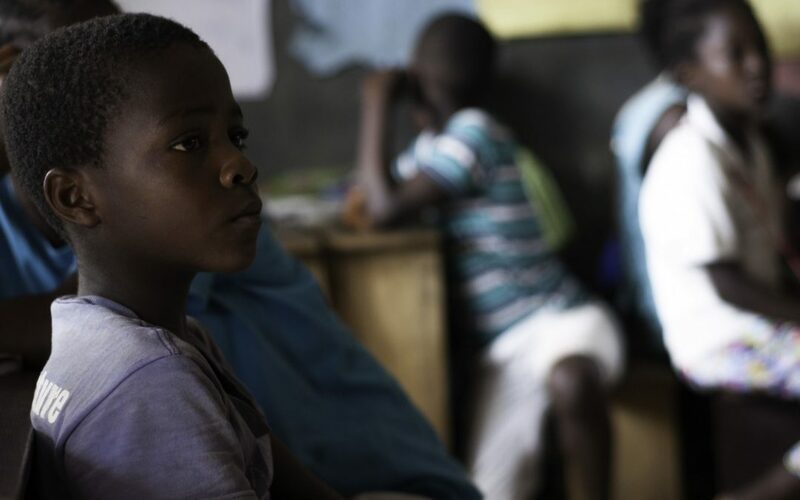 Speed School is an initiative of the Luminos Fund, a private donor philanthropic fund dedicated to ensuring children denied the chance to learn by conflict, poverty, or discrimination get access to quality education. The Luminos Fund engages Geneva Global to design and run Speed Schools in various countries. In Ethiopia, more than 120,000 children have been enrolled in over 5,000 Speed School classrooms since 2011. Over 95 percent of those children transitioned into government schools of whom 83 percent are still pursuing their formal studies. The University of Sussex—which has been independently evaluating the program since 2011—found that after just one year of intensive study, Speed School graduates generally score above their peers who have studied for three years in their local public schools. Based on these proven results, government officials at all levels have been exploring how to replicate Speed School’s pedagogy and results within the formal education system. “The Speed School model proves that with modest resources, kids in the most marginalized settings can receive an education that gives them solid prospects for a fulfilling future,” said Dr. Joshua Muskin, Geneva Global’s Senior Director of Programs and Education Team Leader. The Speed School program was inspired from a collaboration between Strømme Foundation, Legatum Foundation, and Geneva Global that ran in Mali, Niger, and Burkina Faso from 2007-2009. The Luminos Fund is dedicated to creating education innovations to unlock the light within every child. Around the world, there are 250 million children who never manage to learn how to read and write — 120 million of them don’t even get the chance to try as they are denied the opportunity to go to school. Beginning in the Sahel in Africa, through the refugee crises in the Middle East, and into South Asia, we work to ensure children denied the chance to learn by poverty, conflict, or discrimination get access to the quality education they deserve. By developing and scaling innovative approaches to learning for the most vulnerable children, we’re able to work at the margins of the education system, in a space where we can create real change. As we scale pioneering, new approaches to bring quality education to children in the greatest need, we work together with local governments to drive systems-level change. Geneva Global is a philanthropic consulting company that fuses art and science to deliver performance philanthropy for its clients. The company provides a full range of advice and services to help individuals, foundations, corporations, and nonprofits in their philanthropy and social change initiatives. On behalf of its clients, Geneva Global’s work has directly benefited more than 100 million people through 2,000 projects in over 100 countries, and influenced over $1 billion in giving. Geneva Global runs Speed School programs for a number of clients, including the Luminos Fund.